AEC’s employees are our greatest asset and we take pride in hiring and retaining the most experienced and qualified construction experts in the business. Our operations team is made up of project managers, site superintendents, foreman, and field crew all of which are supported by professionals highly trained in health and safety, project administration, accounting, and equipment maintenance. Steve Anderson is the sole owner of Anderson Environmental Contracting, LLC. and also serves as a Senior Project Manager. He has successfully worked in the field of environmental construction for over 25 years. He has completed underground storage tank removal and associated cleanup activities at more than 550 sites in addition to being involved in the installation of more than 160 remedial treatment systems throughout Washington and Oregon. 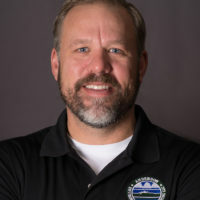 Combining his construction knowledge and experience with an understanding of environmental conservation, Mr. Anderson ensures AEC is consistently providing the most logical, safe, cost-effective and environmentally-sound approach to every project. Makenzie Wing has 10 years of experience in the environmental remediation industry and has captured nearly $200 million in project revenue over the course of her career through high level proposal development and sales efforts. As Business Development Manager for AEC, she provides our clients with a reliable resource to help guide and manage their environmental projects through AEC’s wide range of services. 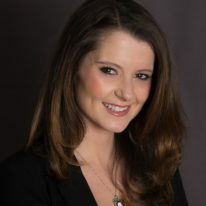 She has directed multi-million dollar environmental projects from initial qualifying of accounts to estimating, proposal development, and contract negotiations, and–most importantly–long-term client relationship management. She is responsible for creating internal capture teams consisting of technical experts, construction managers, estimators, and safety professionals to develop and communicate the safest, most effective approach to the work. Matt Durbin has over 15 years of experience in the fields of road and site construction and equipment operation. 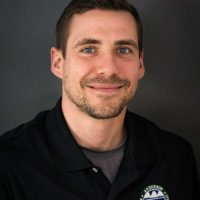 He joined AEC after completing his Masters of Public Health in Environmental and Occupational Health and his Bachelors of Science in Exercise and Sport Science from Oregon State University. He is passionate about incorporating a balanced, innovative approach to worker health and safety utilization, and has a strong knowledge of EPA. OSHA and other federal, state and local regulations. In his role as Health & Safety Director, Mr. Durbin is instrumental in helping the company develop policies and procedures that keep our team safe while maintaining impressive safety statistics far below the industry average.